Another item to consider in our ongoing series on Everyday Carry Cutlery. From the company “New Soda” is their Office Cutlery Set. 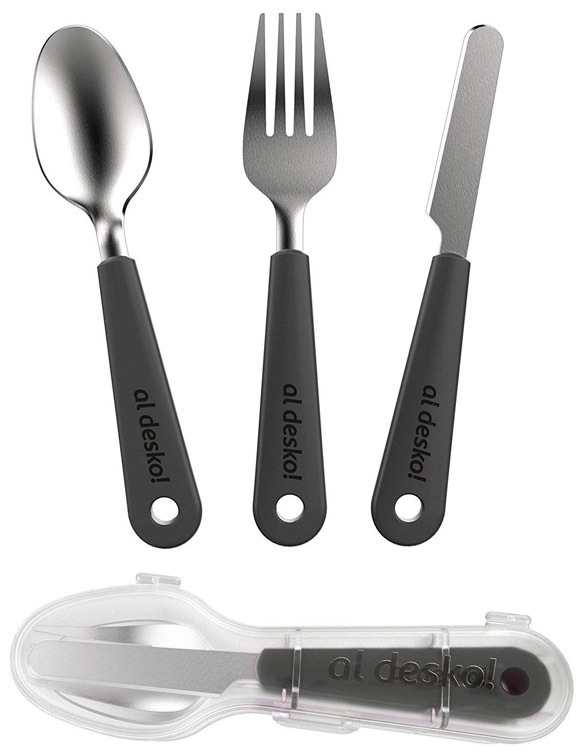 This set of knife, fork, and spoon each have a full size head and soft touch handles. All of this is kept in a locking carry case. And it’s made of dishwasher safe 18/10 stainless steel. But here’s the interesting bit, it’s pretty tiny and portable. The case is 7.5 inches long and the flatware itself is only 7 inches. This is pocket sized!